Police are asking the public to think about where you’re leaving your car keys after a car was stolen using scanner technology on Thursday. We were called shortly before 2am yesterday morning (31 January) after a Range Rover had been taken from an address near Auriol Park. The car triggered an Automatic Number Plate Recognition (ANPR) camera and police located the vehicle in North Coulsdon shortly before 2.30am. The suspects ran from the vehicle and two men, aged 18 and 20, were arrested. They have subsequently been released under police bail, which includes a condition not to return to the borough of Epsom. Officers believe there are further suspects. 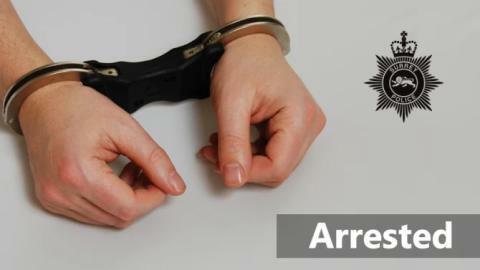 Inspector Joe Easterbrook, Borough Commander for Epsom and Ewell, said: “Thanks to quick work from our officers, we were able to track down the stolen car and arrest two suspects. “Keyless car technology has its pitfalls and I’m asking the public to take some simple steps to prevent crime like this being repeated. “Ensure your vehicle is parked in a well-lit and secure area, while properly locked with all valuables removed and keep your car keys as far away from doors and windows as possible, preferably shut inside a metallic tin, for instance an old biscuit tin. “The wireless signal from some keyless fobs can be turned off; consult the manual or contact the manufacturer to find out if this is possible. If you have any information on this incident, or you have any dashcam footage or CCTV, please contact Surrey Police on 101 (999 in an emergency) or http://surrey.police.uk/TellUsMore , quoting reference PR/45190010909.